You already know that personal care does not stop with a shower and teeth brushing. Our physical appearance should also be cared for to the smallest details because the impression we leave on those around us is one that advantages us in their eyes. To achieve this we need the best equipment, and below we will treat the subject of nose and ear hair trimmers, something that becomes a problem for all mature men earlier or later. Here are the best devices from every major manufacturer range. This unit is part of the manufacturer Philips’s 5000 series, it is a device designed to effectively remove excess hair from nose, neck or sideburns. One of the most important technological aspects of this device is represented by the advanced ProtecTube technology, which is a protection system that prevents tearing, cuts or scratches during use. With this system, the device is protected by an effective foil shield which helps to prevent skin irritation. This model is equipped with ultra precise and sharp cutting slits, which are designed to ensure fast cutting of all unwanted hairs. 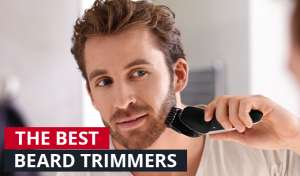 The makeover of facial hair is effective using the DualCut details trimmer that allows the user to shape his beard (if small), sideburns, neckline or mustache. The DualCut technology is present in the particularly sharp blades of the machine, which should never be lubricated, providing extra comfort in the maintenance process. Eyebrows and facial hair can also be evenly taken care of with three combs fitted to the device. Maintenance and cleaning of the machine is very easy, being fully washable (which means it can be washed in running water directly from the tap) and its durability is ensured by a 2 years warranty this model provides. Regarding power supply, the device works with an AA, cheap and easy to replace batteries. One of the most often mentioned advantages of this device is its low purchase price, together with the quality – very satisfactory price ratio. Its technological features give an outstanding performance, placing it among the top devices available in Romania. It is appreciated by consumers due to its durability, efficiency in cutting hair regardless of thickness, intuitive usage, cleaning ease and since they cover different needs. One of the disadvantages some consumers mentioned refer to the fact that sometimes it takes several passes to ensure that indeed the hairs are cut evenly, whether we speak about nose hair or eyebrows. Also other disadvantages would be the strong sound that can be annoying when hair haircut inside or near the ears, but also the battery life, which decreases more and more with the passage of time. It is one of the best nose and ear hair clippers from the Remington range, it is equipped with an antimicrobial casing and lithium battery included in the delivery package. 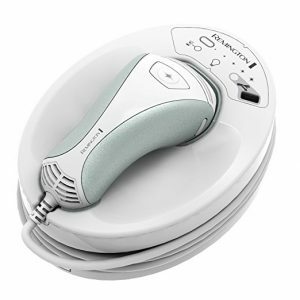 This model helps you cherish even the smallest details of facial hair, and the nanosilver technology is equipped with dual blade bidirectional Comfort Trim Technology system, which provides fast and efficient hair removal even in inaccessible areas. The device is equipped with two interchangeable trimmers (one vertical and one for two-sided eyebrows and sideburns), 2 vertical combs and a comb with 5 settings (1-5 mm). Comfort in use is given by its water resistance, it can be used without problems during the shower and can be easily cleaned under running tap water. The rechargeable lithium battery provides a range of up to 220 minutes, an aspect that contributes greatly to the user. The sustainability of the device is also ensured by the 24-month warranty offered by the manufacturer. The performance of this device is particularly effective according to consumers who have tried it. They also praised its very attractive and comfortable design, the very affordable price (cheaper than the Philips model shown above), useful and durable accessories, but also the generous battery life (220 minutes). The criticism which has been made toward this model has been mostly directed towards the sustainability of construction materials. In other words, some users have reported that this model gave way after a period of normal use, long before the warranty expires. From this point of view you should not worry, however, because the manufacturer warranty also covers unpleasant circumstances. It is a fully washable nose and ear hair trimmer, equipped with rotating blades to efficiently, safely and quickly remove unwanted hairs. Is probably the simplest and poor in facilities of all the devices in this article. However, its main advantage is the vacuum technology which allows the user to benefit from a fresh and quick haircut without having to clean up after you. The steel blade feature of this device is rotating, providing smooth and accurate cutting, and the trimming head for sideburns allows usage in a very comfortable way. The device is powered by AA batteries, offering autonomy of about 90 minutes. The maintenance and cleaning of the device is fast and comfortable, being fully washable. The main advantage Panasonic ER430 offers is the vacuum technology. Because of this, as most users said, it eliminates the problem of hairs which usually remain inside the nose or ear until the process of trimming is done, causing itching. Because this model vacuums cut hairs, this troublesome problem is now history. At the same time, another important advantage of this device is the fact that it protects the skin from irritation although it cuts hair very short. This is highly appreciated by users who experience skin sensitivity issues. An example of a drawback may be the time required for the entire process of trimming to be met effectively. However, its continuous use in the shower can cause internal damage in the medium and long term, which is why it is advisable to keep it dry time and cared for as much as possible. This nose and ear hair trimmer belongs to the Braun’s Exact Series range, it is an effective, high-performing, very comfortable and completely washable device. This precision instrument for proper removal of unwanted hair in the nose and ears comes with a Duracell battery included, offering wireless uptime of no less than 60 minutes. The device is fully washable, which means that maintenance and cleaning are very easy to fulfill. Also, the accompanying protective cover protects the cutter head and its blades during storage or transportation. Braun’s internationally recognized quality is itself an advantage worthy of consideration of this unit, but it enjoys consumer appreciation for other reasons. 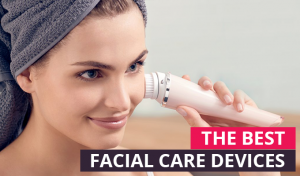 Thus we can say about this device that it is comfortable and high-performing, it behaves well around sensitive skin, preventing irritations, it has an ergonomic design and a reasonable price. Mentioned disadvantages of consumers who have tried include, among others, pretty low battery autonomy, tendency to pluck hairs strongly and low resistance materials. Unlike the other three models above, and despite being the recognized Braun quality, this device has received the most negative votes from users. If we dare to make a recommendation regarding the four devices listed above, we can say that the one who deserves most financial investment is Philips NT5175 / 16. This device offers excellent results and has the most advanced technology on the market (ProtecTube and DualCut technology). Have you tried any of these devices until now? If so, we invite you to tell us your honest opinion about the experience that you had in the comments section below.